After an accident, you have a lot on your mind. Your health is most important. However if you are the breadwinner in your family, you also must consider how you will support everyone. Not having a paycheck while you recover is difficult enough. Having multiple medical bills to pay only makes it worse. Expenses, such as doctors, physical therapy, medication, surgery, and hospital visits, can pile up very quickly. You might also have to pay for damage to your car, truck, or other personal property. Farris, Riley & Pitt, LLP can help you secure a fair and substantial financial recovery for your injury. Insurance companies have lawyers looking out for their best interests and so should you. We can help ensure that your claim is presented in a clear, complete, and timely manner. We can evaluate whether your medical records reflect the true extent of your injuries. Insurance companies tend to lowball personal injury victims because they know you are under financial and emotional stress. They want to give you as little money as possible without regard to what you truly deserve. Contact our car accident attorneys in Birmingham as soon as possible after you are in a car crash or sustain an injury. Let us worry about securing your fair financial recovery while you concentrate on your health. In truth, insurers much prefer to deal with people who do not have legal representation because such individuals usually have little to no idea of how to handle a personal injury claim. An experienced attorney, however, will be able to determine the true value of your case and fight to make sure you obtain all of the compensation you are entitled to. While representatives for insurance companies may seem genuinely concerned about your well-being and express a willingness to make sure you are taken care of, most initial phone conversations with victims are largely intended to get the victims to unknowingly make damaging recorded statements about their crashes, which ultimately hurt their cases. Farris, Riley & Pitt, LLP can handle these phone calls on your behalf and immediately begin negotiating a fair and full settlement, covering all of your past, present, and future needs. Why Choose Farris, Riley & Pitt, LLP To Handle My Case? Farris, Riley & Pitt, LLP can negotiate a settlement that includes money for your medical expenses, lost income, lost future earnings, pain and suffering, and emotional distress. Hiring the right personal injury lawyers in Birmingham is the first step toward alleviating some of your stress after you have been in an accident. At Farris, Riley & Pitt, LLP, our lawyers have extensive experience handling personal injury cases. We can help you through every stage of a personal injury claim and provide you with professional, personal, and compassionate representation. How do you know if it is in your best interest to negotiate a settlement or take your case to trial? The personal injury attorneys at Farris, Riley & Pitt, LLP are dedicated to ensuring the best possible outcome for you and your family. Our firm also handles auto accident cases on a contingency fee basis, which means that you do not pay any fees for our services unless you receive a monetary award. Distracted Driving Accidents – Driving while using a handheld device such as a cell phone or tablet takes a person’s focus away from the road. Even a small lapse in attention can be the difference between a driver hitting the brakes quickly enough to stop and a devastating car accident. Driving Under the Influence (DUI) Accidents — Alabama prohibits drunk driving, and a person operating a motor vehicle while under the influence of alcohol and/or a controlled substance is exponentially more likely to a cause serious crash because of the effects that alcohol or drugs has on their ability to safely control an automobile. In most cases, a drunk driver will face serious criminal charges after causing an accident, but it is important to keep in mind that a criminal case is completely separate from a civil action. Even if a motorist is able to avoid being convicted of DUI, they can still be held be liable in a civil case. Bus and Train Accidents — Not all auto wrecks involve other cars. In certain cases, victims can be seriously injured in crashes involving buses or trains. When these accidents are the result of a bus driver or train operator’s negligence, victims may be able to hold the bus or train owner liable. Construction Zone Accidents — Work zones in Alabama can cause frustration for motorists because they force the vehicles passing through them to slow down to comply with lower speed limits. Some drivers disregard these types of safety measures and often cause serious accidents. Hit-and-Run Accidents — Alabama Code § 32-10-2 establishes that any driver involved in an accident resulting in injury to or the death of any person or damage to any vehicle must give their name, address, and the registration number of their vehicle. The motorist is also required to render to any person injured in the accident reasonable assistance. Unfortunately, some drivers do not comply with this law and flee an accident scene. Leaving the scene of a crash is often referred to as a hit-and-run accident. Not only can Farris, Riley & Pitt, LLP work with law enforcement in an attempt to track down the offender, but we can also assist you in filing claims with your own insurance company in the event the wrongdoer is not found. Multi-Vehicle Accidents — Some crashes involve more than two vehicles. Such cases can quickly become very complicated, with motorists’ insurers blaming one another for being at fault. Farris, Riley & Pitt, LLP can conduct a thorough investigation to determine all liable parties and work to ensure that they are held accountable. insurance policy that satisfies the minimum liability insurance limits of $25,000 for death or bodily injury to one person, $50,000 for death or bodily injury to two or more persons, and $25,000 for property damage. Unfortunately, some Alabama drivers do not carry any kind of insurance, and it can be incredibly difficult for victims to obtain the compensation they need in such cases. Farris, Riley & Pitt, LLP can assist in both holding these negligent drivers accountable and working with your own insurance company. Rear-End Collisions — Whether another motorist was tailgating or was simply inattentive, victims whose vehicles are struck from behind often suffer serious injuries. In many of these cases, negligent drivers may have been engaged in some kind of distracted driving. Side-Impact or T-Bone Collisions — When crashes occur at intersections, one vehicle is often struck in the side by another automobile, and injuries can be quite severe for the occupant(s) on that side. Head-On Collisions — Crashes involving head-to-head impact are often far more likely to result in fatal injuries because of the impact that is often involved. Such accidents may be the result of improper lane usage or of another driver attempting to pass a vehicle without sufficient room to do so. Not all car accidents involve other vehicles. Farris, Riley & Pitt, LLP also handles isolated crashes that may be the result of defective automobile parts or maintenance company negligence. If you’ve been hurt in a car accident, you likely have many questions about your rights and legal options. We have provided the answers to some commonly-asked questions below, and are available to help answer specific questions when you schedule a free, confidential consultation with us. Alabama is one of only five U.S. states that recognizes the affirmative defense of contributory negligence. Under this rule, a victim is barred from recovery if their own negligence contributed in any way (even just one percent) to an accident. Contributory negligence is one of the most important reasons that a person should not speak to a negligent driver’s insurance company without legal counsel, as agents for insurers are always seeking ways to get victims to admit to even a marginal degree of fault for a crash. What should I do if I was involved in a car accident in Alabama? Your first step after a car crash should be to seek medical attention, even if you do not think you were hurt. Not all injuries have immediate symptoms, and it is usually beneficial to later injury claims to have a record that shows medical care immediately after an accident. When possible, take pictures of your crash scene and get contact information for anyone who witnessed your accident. If you cannot take these steps yourself, try to have friends or family members do this for you. Also beneficial is writing down everything you remember and keeping a journal, as memories of these events inevitably begin to fade rather quickly. Finally, do not speak to the other driver’s insurance company without first contacting Farris, Riley & Pitt, LLP. How do I obtain a copy of my car accident report? In most cases, people can obtain copies of crash reports from the law enforcement agency that responded to their accidents. The Alabama Law Enforcement Agency provides reports for crashes all over Alabama, but accident reports can also be obtained from the Birmingham Police Department or the Jefferson County Sheriff’s Office. According to the Alabama Department of Transportation, there were 155,907 total crashes in the state in 2016, resulting in 47,653 injuries and 1,089 fatalities. Of these, 18,329 crashes occurred in Birmingham and resulted in 4,250 injuries and 44 fatalities. Jefferson County was the scene of 31,824 accidents, resulting in 7,340 injuries and 94 fatalities. Of these Jefferson County crashes, 18,571 were classified as intersection crashes and 13,253 were nonintersection-related. ALDOT statistics show that a typical Alabama driver has a greater than 1 in 3 chance of being in an accident involving injury or death during their lifetime. The University of Alabama reported that the 2016 traffic crash fatality total was a nearly 25 percent increase from 2015. The University found that crashes caused by distracted drivers in 2016 increased 20 percent from 2014, and there were more crashes with impact speeds faster than 50 miles per hour (mph) in 2016. Center for Advanced Procurement Strategy (CAPS) research has shown every increase of 10 mph doubles the probability of a crash being fatal, according to the University. ALDOT reported that speeding was the top contributing factor in fatal crashes. 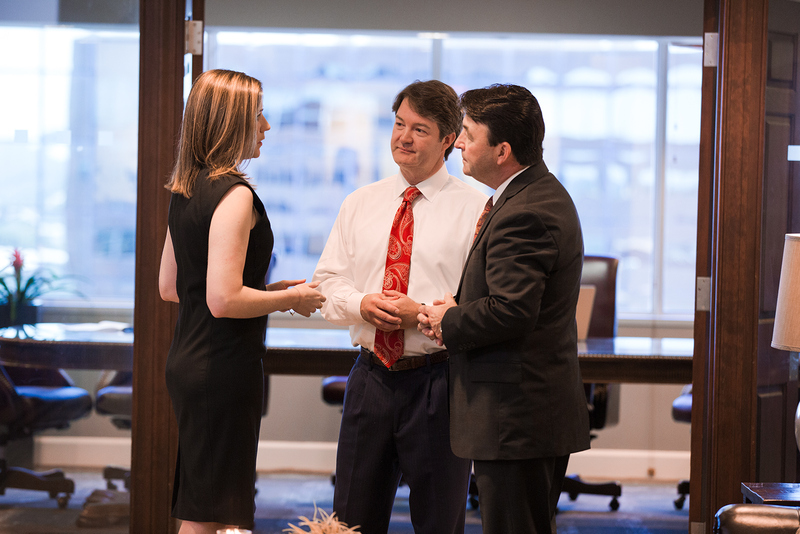 The experienced personal injury lawyers of Farris, Riley & Pitt, LLP have been helping all kinds of injury victims throughout Alabama for more than two decades. We understand the tremendous toll that automobile crashes take not only on the victims injured in wreck, but their entire families as well. If you were seriously injured or your loved one was killed in a car crash in the greater Birmingham area, it is in your best interest to immediately retain legal counsel. Call us at (205) 324-1212 or contact us online to take advantage of a free consultation that will let our attorneys review your case and help you understand all of your legal options.